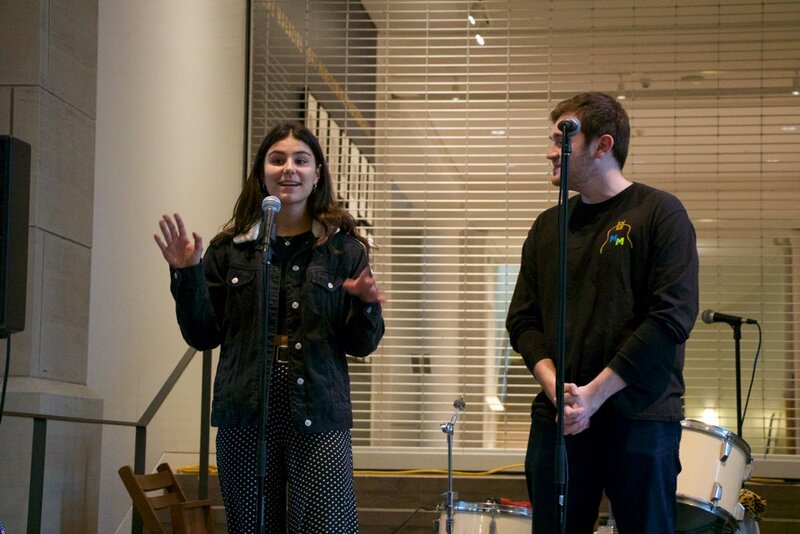 The concert that took place at the UMMA this past Friday, October 19th, was the first ever SpringFest Showcase: A Night at the Museum. This event originated out of my desire to increase the number of music based events that MUSIC Matters, and specifically the SpringFest committee, puts on during the Fall semester on campus. I also wanted to host the event in a unique location to add diversity to the lineup of concert venues that are available to the Ann Arbor community. This venue allowed me to create a unique way for students and the larger community to engage with music and art. Rather than separating the two mediums, I wanted to bring them together and highlight the beauty of the music without the typical distractions that are associated with concerts. The lineup consisted of three different acts, The Kelseys, Andrea Doria, and OSSI, all of which created unique yet equally alluring performances. The bands definitely attracted their individual fan bases but these attendees were introduced to new musicians and art by staying for the entirety of the event. The UMMA also generously co-hosted the event with us, which allowed us to provide the concert at zero cost to attendees, thus reinforcing our goal of uniting the community through music. This collaboration also allowed us to reach a greater spectrum of individuals across the community because our two different organizations have both overlapping and differing audiences. Overall, I am extremely proud that our first ever concert in the UMMA went as well as it did. There was a lot of work put in by Anuksha, Danny, the local talent team and myself, and it is an amazing feeling watching everything come to fruition. I look forward to continuing to bring people together through smaller music based events and for our future collaborations with the UMMA.